It is rare but there is always a possibility for your website getting hacked if it is not properly secured. There are times that one can mess up some code which could result in the website to crash. For all such times we will need to rely on our trusted backups. But how do you backup you entire website? Let’s take a look. Once in Backup Wizard, click “backup” This will backup all your email accounts, files, and a few other things along your MySQL databases. In the next step it will ask you for a “Full or Partial Backup.” You can choose to go with either one of the two options. That’s it; you have successfully backed up your website. These backups should definitely give you a peace of mind. You can setup a calendar to regularly backup up your website so that you have the most up to date data when you most need it. Have you ever come across a situation where you have lost all the files from your computer? 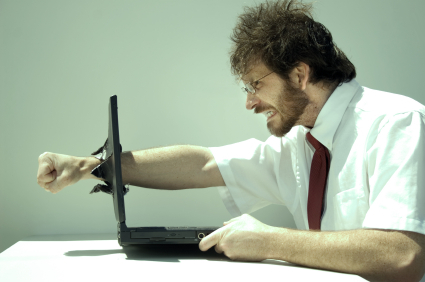 We know how painful it can get especially when you don’t have any backup of your precious files. This situation is true even for websites. If you feel that your data is safe online then we are sorry to break your bubble. Websites have been the most vulnerable to hacker attacks and we get to hear a lot of high-profile brands being a victim almost every day. Even the best security measures have failed to assure that your website is safe. The only way that you can save the hassle of starting your website all over again is by backing up your website regularly. 1] Hackers: We all are aware that hackers attack website to get user sensitive information. But of late simple sites have also become a target of their activities simply to cause trouble or prove their identity. In simple words, no one is safe from their attacks. 2] Malicious code: A lot of times, you might rely on third-party templates or plugins for your website. If they are not downloaded from a trusted source, chances are they are rigged with malicious code capable enough to make your website go off the hook. 3] Updates gone wrong: Content management systems are updated quite often for added functionality. Sometimes, due to some manual changes made on your website the update might not compile well. This can cause some of the features on the website to run incorrectly or crash the whole website altogether. 4] Delayed Updates: If your website is dependent on a lot of plugins, then you probably know that there are regular updates that are released for them. These updates are not only to improve functionality but to block loop holes through which hackers can get easy access into your website. Avoid an update and there are chances that your website might get attacked by a hacker. The attack would primarily be for stealing data but it could also be possible that it is an attempt to crash your website completely. If you don’t have a backup at this point then you would probably be pulling your hair out. 5] Unreliable Hosting Company: This is rare but if a hosting company does not meet compliance then they stand a chance to be shut down completely, taking your precious website off the internet too. Your only option would be to switch to a different more reliable hosting company. 6] Human error: “You ain’t human if you don’t make mistakes” There are Chances that you are having a bad day at office and unintentionally clicked on the wrong button and ended up getting your website all messed up. Well our point here is that even if your website loses an arm to these predators, you can grow it right back again, only and only if you have a back up of your website. There are many back up tools available online that can help get your website backed up and even save a copy on cloud storage platforms like Dropbox. 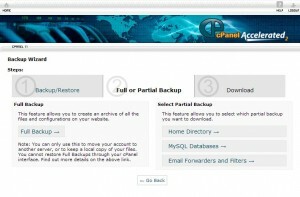 Here is simple way that you can backup your website through the cPanel. How many times should you back up your website? If you have a static website then one backup is all you need. It’s always great to take a backup of your website even after a smallest update is made to it. We have heard of websites with constant data traffic to have backed up their website every second. You can restore your entire website in a matter of minutes, only if you have a backup of your website. So if you have not taken measures to back up your website, its time you gave it the attention it needs. This article describes how to back up your emails if you use Microsoft Outlook Express. How to Locate the Store folder? How to Copy the contents of the Store folder. How to Create a backup folder. How to Paste the contents of the Store folder into the backup folder. Do you Provide Automatic Backups? We create our own weekly backups on the shared servers, and we can restore from those. However, this is NOT a procedure you should rely on to keep your content safe. Backups made every Sunday; only the newest backups are kept. We make no guarantees about our weekly backups, and we do require a fee of Rs.1000 to restore the SpeedHost.in backups. Please note that it is very easy to take a backup from cPanel and we advice all clients to do this on a regular basis to keep your data safe. This is free of cost as you can do this yourself.